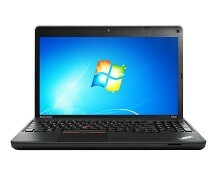 Incorporating the performance of a full-size laptop with the portability of netbooks, ultra-slim notebooks – also known as ultrabooks, are quickly becoming a trend. They are the perfect devices for people that are always on the run and need something that easy to carry around yet powerful enough to get the job done. With a weight of only 1.38 kg and powered by Intel’s second generation of i3 processors, the Acer Aspire V5 is a very balanced choice. Get the best ultrabook deals from Currys – you can get the Aspire V5 for as low as £349.99. 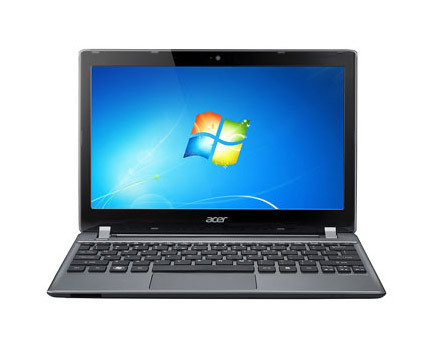 Acer is renowned for creating devices with a good price per performance ratio. Their products can easily compete with the products of top brands such as Samsung or Sony, while their significantly reduced prices make them more affordable to the general public. The Acer Aspire V5 ultra-slim notebook is no exception. Powered by a second generation Intel® Core i3-2367M processor running at 1.4 GHz, this little notebook can chew anything you throw at it. Assisting the processor in the daily tasks are 4 gigabytes of DD3 RAM memory, enough for the multitasking needs of a mobile user and even for some high-memory demanding programs. 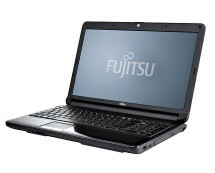 Responsible for storing all the data is a 320 gigabytes hard drive, while the graphics part is handled by the integrated Intel® HD 3000 graphics chip. 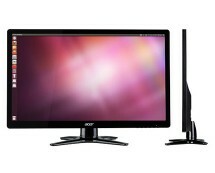 Everything is displayed on the Acer CineCrystal™ LED-backlit 10.1” display with 1366 by 768 high definition resolution. 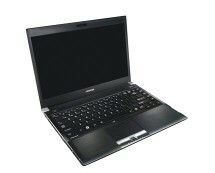 In terms of performance, the Acer Aspire V5 is quite balanced, with no component chocking out the others, such as the case of various other notebooks that are equipped with very powerful processors and excessive amounts of system memory but lack a dedicated graphics card, for example, to keep up the pace. The Acer Aspire V5 is well equipped when it comes to connectivity. The wireless adapter allows the notebook to easily connect to the most common types of networks, such as 802.11a/b/g/n, thanks to the Acer InviLink™ Nplify™ technology. The notebook also comes with a Bluetooth 4.0 module integrated. Two USB 2.0 ports along with a high-speed USB 3.0 port are also present. Completing the offer is a 2-in-1 card reader and a HDMI port, allowing you to simply plug in the memory card from your digital camera, hook the Aspire V5 to a projector or a TV and watch your images and videos on the big screen. A 1.3 megapixels HD camera is also present. The ultra-slim design of the Acer Aspire V5 makes it attractive right from the start, with the grey base color and the black keyboard and display frame giving it a clean look. Ensuring the portability is a 4-cell 2500 mAh Li-ion battery pack. The Acer Aspire V5 comes with the basic software you need to get started, such as Adobe Reader or Microsoft Office Starter, already installed on the included Windows 7 Home Premium operating system, so you can start being productive right away.